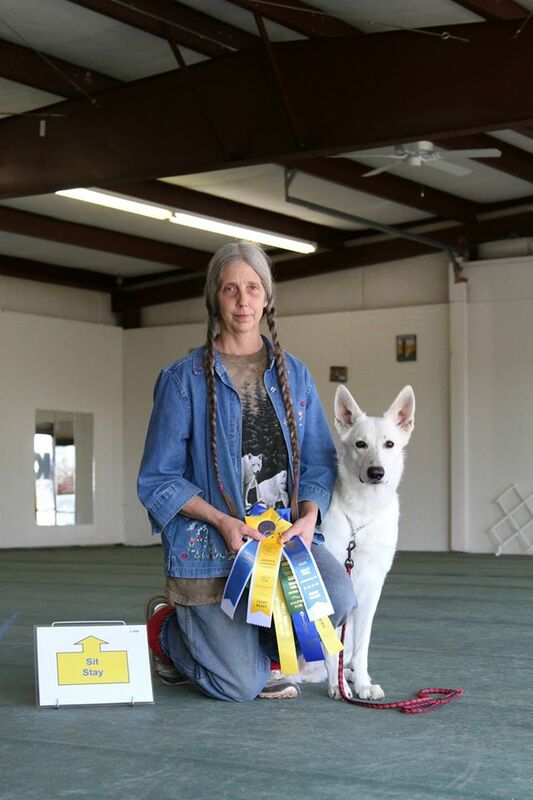 My name is Rose M. Bible, and I have been involved with White Shepherd/ White German Shepherds for 30 years now. My love of the breed blossomed when I purchased my first white german shepherd, Eli. Eli became the founder of what has become not only my kennel, but my life's love. I have had many personal pets out of my own line. I have worked my dogs in obedience since 1978, and I entered my first show in 1988. My kennel has many show titles and champions behind each litter I produce. I have worked in a few different dog training classes both as a teacher and as a participant. I believe each and every dog should be well mannered and well trained. I don't believe in having a dog that I can't control. I only keep and bred dogs with the attitude, size, and pigment, I'm looking for. Although, without the loyal, loving, and trusting nature that all white shepherd/white german shepherds should have, the color and size are of little value. If you ask anyone that has adopted one of my pups, they will agree that, not only are the size and pigment ideal, but also of the wonderful temperament and good nature that my four footed kids exhibit. There are currently 20 dogs in our family, 11 are inside house dogs and the other 9 are in my climate controlled kennel building. The kennel dogs that I keep outside are all turned out to run and play most of the day while I'm home, and at night, they go to bed in their kennels. All my puppies are kept indoors until they are two, then some of them are moved over to the kennel. As if the dogs weren't enough, to add to the chaos there are lots of cats running around, and I also have six horses to tend to. As you can guess I have a love for all animals, my life just wouldn't be what it is today if I didn't have them all.